*Note the Club Series Iron Belt™ is shown in some of the images. 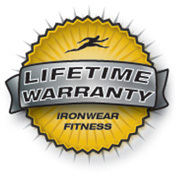 Iron Belt™ is IRONWEAR ™’s unique patented system gives you four great Flex-metal™ products in one system. You get a belt which separates into two ankle, wrist or thigh weights. No other system offers you the flexibility of the Iron Belt™. 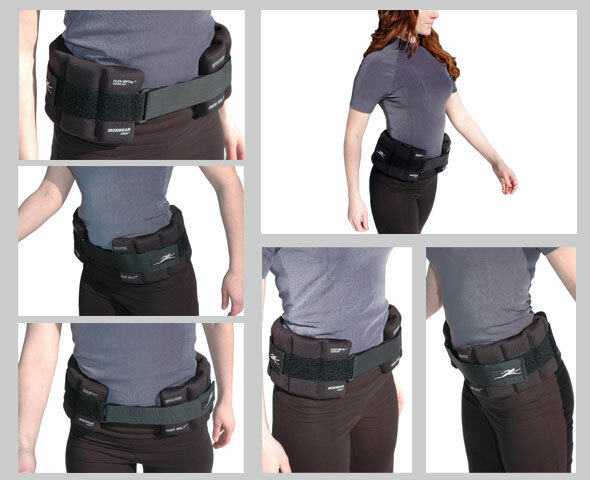 Iron Belt™is a 10 pound belt which positions the weight properly over the hips for maximum comfort. The front and back are open to keep pressure off the abdomen and spine. The over sized tension straps make it easy to adjust , put on and take off. 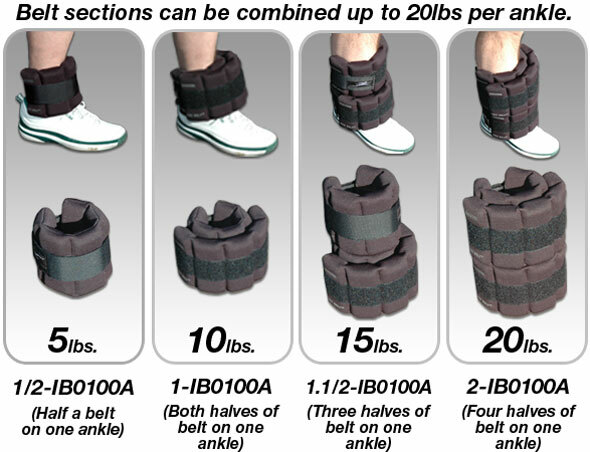 Iron Belt™ separates into two sections each section can be used as a ankle, wrist or thigh weights. Each weight has the largest securing straps in the industry. Each of the two sections has five padded patented stretch pockets into which one or two 1/2 pound Flex-metal™ inserts may be inserted. Iron Belt™ system IB100A comes with 20 - 1/2 pound Flex-metal™ inserts and is adjustable up to 10 pounds, 5 pounds per side or the sections can be double up on one leg to go from 1 to 10lbs per leg. 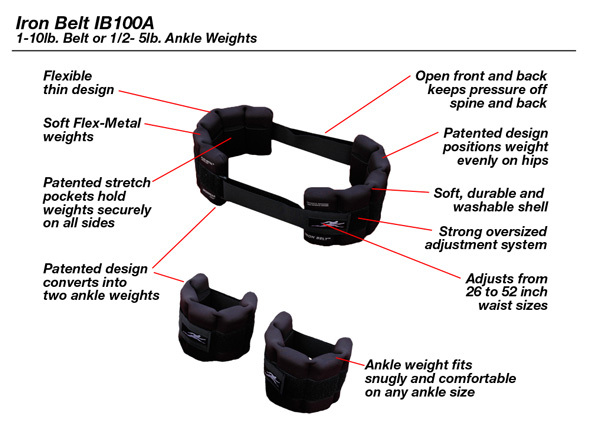 With 2 IB100a belts you can expand the system to 20lbs per leg. Iron Belt™ with thin Flex-metal™ inserts flexes with your movements and bends to the contours of your ankle. The soft gel like material stays in place without creating localized pressure points. Iron Belt™ with Flex-metal™ inserts does not move around or rotate. It will not shake, sag, or spill out like sand and shot filled weights. It will not chafe or bruise like weights made with metal bars. Iron Belt™ thin design and can be worn under sweat shirts or pants. It can easy be washed and should last for years. Iron Belt™ Champion Series is encased in an abrasion resistant padded nylon fabric for maximum durability. Champion material acts like a sponge and absorbs moisture and pulls the moisture away from your skin. My wife and I walk together and we were using ankle weights with metal shot. The weights have stiff binding around the top and bottom which rub on our ankles as we walk. I have blisters all over my ankles. I use 5 lb. weights (2.5 lb. each leg) and my wife uses 10 lb. weights (5 lb. each side). We would like to switch to IRONWEAR's soft Flex-metal adjustable Ankle Irons because they have no hard binding on the top or bottom. I would like the IB050A at 2.5 pounds per leg and my wife would like the IB100A at 5 pounds per leg. Got the ankle weights. It's like wearing a stick of butter around each ankle. I can't wait to try them tomorrow. Wife and I love them. The best ankle weights we've had. Walked 5 miles today. Thanks!